You are currently browsing the The Pet Product Guru blog archives for June, 2016. High heat and humidity made it miserable! When heat and humidity reach dangerous levels , any strenuous physical activity for your cat or travel in his cat carrier should be avoided. The high humidity will prevent your cats body from cooling down because cats do not sweat like we do. High humidity can cause strokes, cramps and exhaustion. All of these conditions can be very dangerous for your pet. Body fluids in your cat are lost in these conditions and the body temperature can rise to a very high level. How do you know if your cat is overheated? If your cat has breathing problems, coughing or a dry throat, he is probably dehydrated and get him to a cool, shady spot with plenty of water on hand right away. During the summer, take precautions when it comes to your pets. You may have to change your plans to keep them safe. Keep them in a cool area and always have their water bowl filled. Thousands of pet product at your finger tips in The Pet Product Guru Store! Oldies from the beach all the time on Edgewater Gold Radio! Listen on or new player or download the free Edgewater Gold Radio App from your app store today! Cats love to play but purchasing a variety of cat toys can get expensive. So why not make your own? 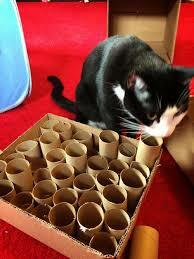 A tightly wadded ball of paper,an empty toilet paper tube, a ping pong ball or a brown paper bag are some of the simplest cat toys. If you want to put a little more effort into it, tie three feet of string onto a stick and dangle it like a fishing pole. I used the plastic ring on a milk carton and attached it to a piece of string and it became my cat’s favorite toy. You can also make a cat nip toy out of the top end of an old sock. Just cut it off at the heel, put in some cat nip and stitch it closed. A plastic bottle with a secure lid can be partially filled with rice to make a rolling rattle. Figure out what your cat likes, get creative and make sure that you always supervised her playtime when you make the cat toys. Do all of you pet shopping in one place, The Pet Product Guru Store. Great memories don’t die — listen to all of your memories on Edgewater Gold Radio! Listen at work on your desk top from our website – The Edgewater Internet Radio Network. As you know, my 17 year old cat Molly was diagnosed with chronic kidney failure last December. She also had hyperthyroid disease. Molly was having seizures, losing weight, and vomiting plus drinking very frequently. My vet gave her pet medication for thyroid disease and put her on a prescription diet. Molly was used to certain cat foods and cat treats so changing her diet was a challenge. I was determined to sustain Molly’s quality of life as long as I can. She didn’t like the prescription food, so I added another high quality food, (Weruva) and mixed the food together. She loves it! I’ve also done some research and found a high potent omega oil from Canada. It’s called Astro’s Oil and it was developed in Canada and the oil helped a pet who also had CRF (Chronic Renal failure). I’ve been ordering the oil ever since and it seems to have really helped Molly. I mix a small amount with her cat food each day. So how is Molly today? Right now she is sitting by the window watching the birds and squirrels fighting over the bird seed outside. She has gained more than a pound, her fur is shiny, she is eating well. She no longer has seizures and vomits rarely. Thanks to her pet medication, her Thyroid has returned to normal. So I feel that she is still enjoying a decent quality of life. She does drink frequently and her creatine levels have jumped up a bit but we are working hard to get them back down. Right now, I’m very thankful that my little friend is still here with me. Sometimes, you have to go the extra mile for your pet! Thousands of great pet products are available in The Pet Product Guru Store. The greatest oldies of all time! The best variety and best mix on Edgewater Gold Radio! Download our free app for your app store and listen at work via our website: The Edgewater Internet Radio Network! You are planning a vacation and are now faced with the task of selecting the proper kennel for your pet. Here are some tips that may help you out. 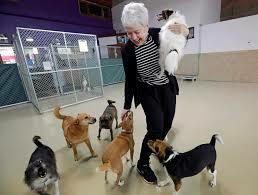 Call the kennel to determine whether it would be able to accommodate your pet during the time that you will be away. Also discuss any special situations such as a very large dog breed, special pet medications, whether your pet is a very young kitten or puppy etc. Make plans to visit the kennel. It’s a good idea to make sure you bring enough dog food, dog treats, cat food and cat treats. You pet should stay on the same diet while you’re away. Always do this ahead of time. During your visit, check out the cleaning procedures. The kennel should look and smell neat and clean. Some dog kennels have a policy where visitors are not allowed in the area where the animals are kept. The reason for this is that visitors can bring in different diseases and bacteria because they don’t follow the same disinfecting procedures as the staff does. Another reason is that some pets are afraid of strangers and can get stressed. Give the kennel your vets name and telephone number. Give the kennel the name and telephone number of the place where you will be staying. It’s also a good idea to check in with the kennel at some point during your vacation to make sure that your pet is doing OK.
An advantage of a good kennel is that the staff is usually trained to look for signs of illness in your pet. Friends and family who care for pets in your absence will not notice this. If you do your research, your pets stay at the kennel will not be a bad experience for him. All of your pet products are available in The Pet Product Guru Store. At work? Turn on the oldies to help you through your day! Edgewater Gold Radio! Listen using our new player on your desk top! –Edgewater Gold Radio! When I was growing up, I found two little kittens. My mom would not let me take them in the house because she felt that they might have some kind of disease. We had to keep them outside and figure out where we would put them. My father build a very sophisticated “cat house” where they would sleep at night. We fed them the cheapest, smelliest cat food and gave them milk! (who knew that milk would upset their digestive system?) We hoped that when they wondered, they would come back. We lived on a busy street and prayed they wouldn’t get hit by a car. Times have really changed! My two cats are treated like queens! They run the house. They are fed high quality cat food, they have a variety of cat beds and cat pods throughout the house. They are given cat treats and are brushed everyday. A cat box filled with a variety of cat toys sits in the corner of my living room. Our pets are like family and today, we treat them like family and love doing it! 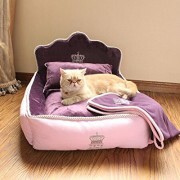 Shop for great cat beds and all of your pet sup pies from The Pet Product Guru Store! Listen all day to the greatest oldies of all time plus some great pop standards —Edgewater Gold Radio. You can also listen directly from our website The Edgewater Internet Radio Network! Stray cats or feral cats are cats that live outdoors on their own and usually have little or no contact with humans. The current animal control and sheltering system promotes euthanasia of these stray cats and say that this method is in the cat’s best interest. This kind of thinking must be changed. Euthanizing these animals is at odds with the humane values of most Americans. Scientific research does not support the system’s rationale for killing. The belief that cats belong only indoors or as “owned” pets is contrary to the natural history of felines. This is a species that has flourished outdoors for 8,000 to 10,000 years. Who are we to decide their fate? According to a national survey on feral cats, this question was asked. If you knew that the stray cat you saw would die in two years because it would be hit by a car, which would you consider the most humane option today? 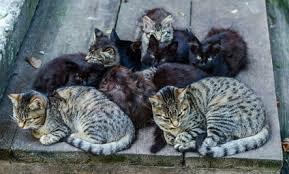 Many of us supply cat food, water bowls, cat beds for the feral cats in our neighborhoods. Some are even allowed in the house for a cat treat or two. Lets work to get these unjust laws changed. The population of feral cats can be reduced by spaying and releasing them. Leave our feral feline friends alone! Shop online for all of your pet products at The Pet Product Guru Store! The greatest variety of online oldies are available to you 24 hours a day on Edgewater Gold Radio! Download the FREE Edgewater Gold Radio app from your app store today! With Hollywood starlets always carrying their pets around with them, it’s becoming increasingly trendy to have a teacup poodle safely stored away in your handbag. And if you’re the proud owner of a small dog, this might be a desirable option. It’s also great if you take your pet with you when you travel. But you aren’t necessarily out of luck if you have a slightly larger dog. For these pets, there is a wide selection of larger pet carriers. While you can’t carry around a German Shepherd or Great Dane, a midrange pet carrier does make it possible to carry dogs over five pounds. Even dog crates can be trendy. Shop for trendy pet products in The Pet Product Guru Store! We connect music to great times in our lives. That’s why Edgewater Gold Radio offer you the widest variety of oldies from the 50’s 60’s 70’s early 80’s plus great popular standards! Listen, remember, enjoy! The Edgewater Internet Radio Network! A twitching cat or dog that is dreaming about chasing a rabbit or dog toy in their sleep is a common sight if you’re a pet owner. 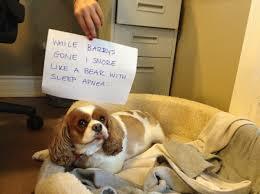 Like children, our pets dream, talk in their sleep and even wet their beds. They can also have more serious sleep disorders. Narcolepsy is disease that causes sudden, excessive sleepiness. Researchers have isolated the narcolepsy gene in Doberman Pinschers and Labrador Retrievers. Sleep Apnea often affects Bull dogs and Persian cats. Symptoms include loud snoring and/or interrupted breathing and gasping during sleep. If these conditions are left untreated, the consequences can be serious. 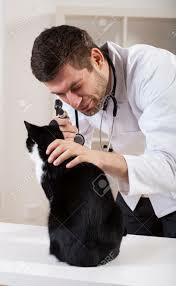 See your veterinarian if you suspect problems. Do not attempt to administer any kind of pet medication on your own. Your vet will make the proper diagnosis and insure sweet dreams for your pet. Shop The Pet Product Guru Store for all of your pets needs! The greatest variety of music –oldies from the 50’s through the early 80’s and pop standards on Edgewater Gold Radio. Listen at work! Download the FREE Edgewater Gold Radio app from your app store now and take us anywhere! There are many LGBT events going on throughout the nation. The gay pride parade is taking place in New York City today. This event traditionally draws millions of people and lots of people take their dogs. Just a reminder to keep your dog safe. If he is marching in the parade make sure he has access to fresh water and take along some dog treats for him to munch on. Keep you dog on his dog leash at all times. Make sure that he has enough space to walk. Take it from experience, the city streets can become extremely crowded along the parade route. If your dog is not comfortable around crowds, by all means leave him at home. He will be safer and happier. Make sure that you take doggie poop bags with you. Nature will call, guaranteed! Finally, if you feel that your pouch is getting stressed out, get him away from the crowds. Usually if you walk a few blocks from the parade, the streets will be a bit less crowded.! Enjoy your pride day and the parade —-keep your pets safe. Shop at The Pet Product Guru Store for thousands of pet products at great prices! Great oldies plus lots of summer and dance memories – Edgewater Gold Radio – from the Delaware beaches. Listen to the 50’s 60’s 70’s, early 80’s plus great pop standards from our website: Edgewater Gold Radio! There are dog shock collars on the market that will give your dog a shock when he goes where he is not supposed to. They are sometimes used as dog training methods. This author is not in favor of this device or these methods of training. 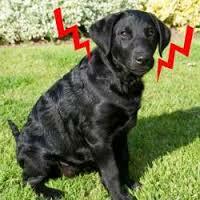 Shocking a dog on a sensitive area of their body can cause them to fear you. Trainer Victoria Stilwell promotes positive reinforcement to train your dog. Reward them with a dog treat for doing something right rather then shocking them for doing something wrong! I agree with her methods rather than using shock to train. Shocking methods can cause a dog to fear going outside. Your dog may run and hide as soon as he sees his dog leash! I believe that the electric fence is also a bad way to keep your pet contained. Some dogs have run through the fence and have gotten shocked so badly that they run away instead of returning to their yard. I believe in more humane methods in containing and training your pet. The key is time, repetition and patience. Some dog trainers may disagree with me but I will still stand my ground and feel that traditional, positive reinforcement methods are a much better way to train your dog. Dogs would rather receive dog treats then be shocked. Wouldn’t you? SO many great pet products in The Pet Product Guru Store! Great products at great prices! Summer time means great oldies – Edgewater Gold Radio! Go to your app store and download the FREE Edgewater Gold Radio app today and take Delmarva’s oldies with you wherever you go!